What Becomes Local Music Industry Without Guma Guma? 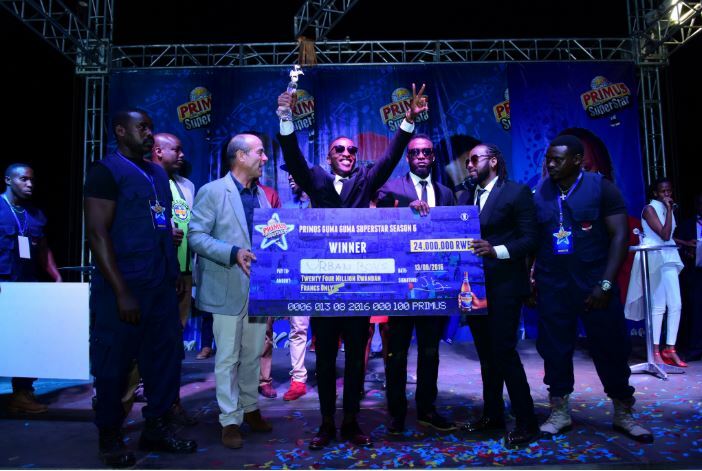 In eight seasons Primus Guma Guma Super Star (PGGSS), the highly sponsored music competition in the country, has harvested talent and promoted the music industry giving lucrative cash prizes. The competition has seen some artists build their careers to regional levels and connections in the music industry. With all this achievement, the Bralirwa sponsored PGGSS competition is now rumored to have hit a dead end effective 2019. Apparently, its main sponsor Bralirwa is pulling out. “We are not in position to comment anything about this competition,” said Felix Nsabigaba, the Bralirwa internal communication department official told KigaliToday reporter. The closing of the music talent competition has left the public wondering. Since 2011, this lucrative competition put Close on another level doing many local collabos and performing at weddings, parties walking away with not less than Rwf300, 000 per session. This scenario also enticed his contenders like King James, Jay Polly and Dream Boyz to work hard and also emerge winners in the years that followed as the award money also continued to raise up to Rwf20million. Even when only one lady diva, Knowless Butera has managed to win this competition in its 5th edition in 2015, the PGGSS has seen the rise of female participation with names like Queen Cha and Young Grace. “This will create a gap in the music industry. PGGSS has set precedents in live competitions which always created an ambiance we won’t find in small local competitions,” Claude Mugabo, a student and one of the PGGSS fans said. Guma Guma promoted both artists and MCs. Popular MC’s like Lion Manzi, MC Tino and MC Pendo have been known because of having worked with several PGGSS editions. “This was a platform for some of us musicians to get to be known by the public. Whoever appeared in PGGSS can stage a performance and get many revelers using this reputation,” said MC Tino real names Martin Kasiriye. Among those who would never have been known if it was not for PGGSS was long time radio presenter ‘Uncle Austin’, comedy filled artist Senderi International Hit, JayC, Khalfan ‘Mico The Best’, reformed ‘Just Family’ and the ‘Active’ trio. List of PGGSS champions: Tom close 2011, King James 2012 Riderman 2013, Jay Polly (2014) and Butera Knowles (2015) as the one female singer to win the competition, Dream Boys (2016) Urban Boys (2017) and Bruce Melodie as the recent winner in 2018.